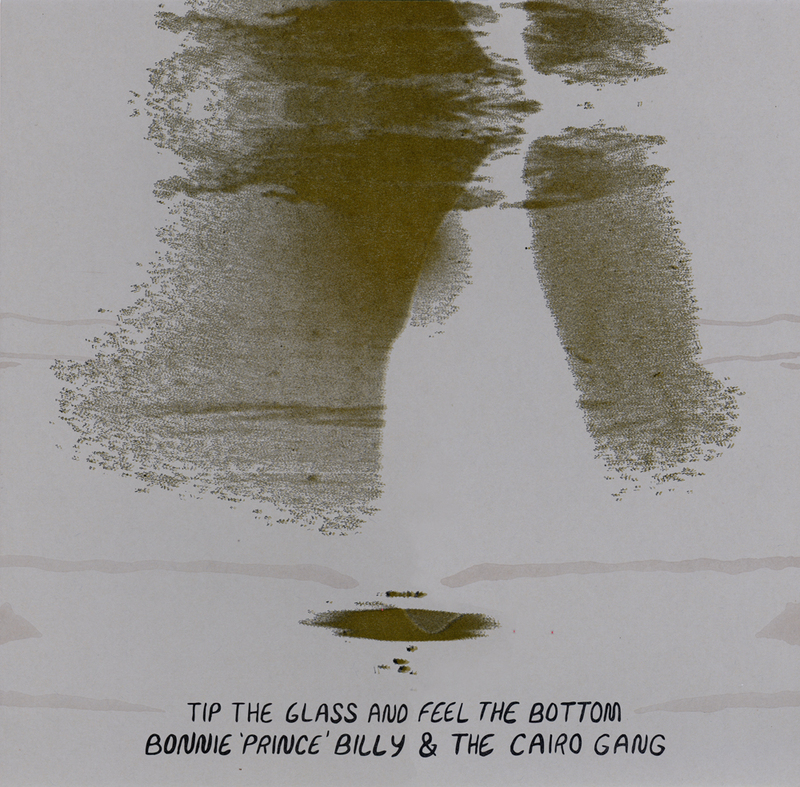 Bonnie 'Prince' Billy & The Cairo Gang - Tip The Glass & Feel the Bottom — Future Oak Record Co. Since 1998, Will Oldham has recorded a staggering amount of music as Bonnie 'Prince' Billy. Although the project is ever-changing, one aspect that always comes through is his deep affection for his musical predecessors. Future Oak Record Co. is proud to present this small-run 10" vinyl EP, where we see Oldham and frequent collaborator Emmett Kelly of The Cairo Gang pay tribute to four of these predecessors. This EP includes covers of songs written and popularized by Roger Miller, Don Everly, Jimmy Webb, and June Tabor. Oldham has kept characteristically busy in recent years, recording 5 LPs in as many years. This release sees Oldham trading in the jaunty arrangements of his most recent album, Singer's Grave A Sea of Tongues, for a much more austere presentation. In this way, it hearkens back to 2010's album The Wonder Show of the World, another close collaboration with The Cairo Gang. This EP was recorded by Oldham and Kelly on their 2014 tour of eight Dutch churches. It documents four songs that embody the tour and marks the first time the duo have recorded these arrangements. Oldham has a long history of releasing singles and EPs in limited quantities, typically on small independent record labels. 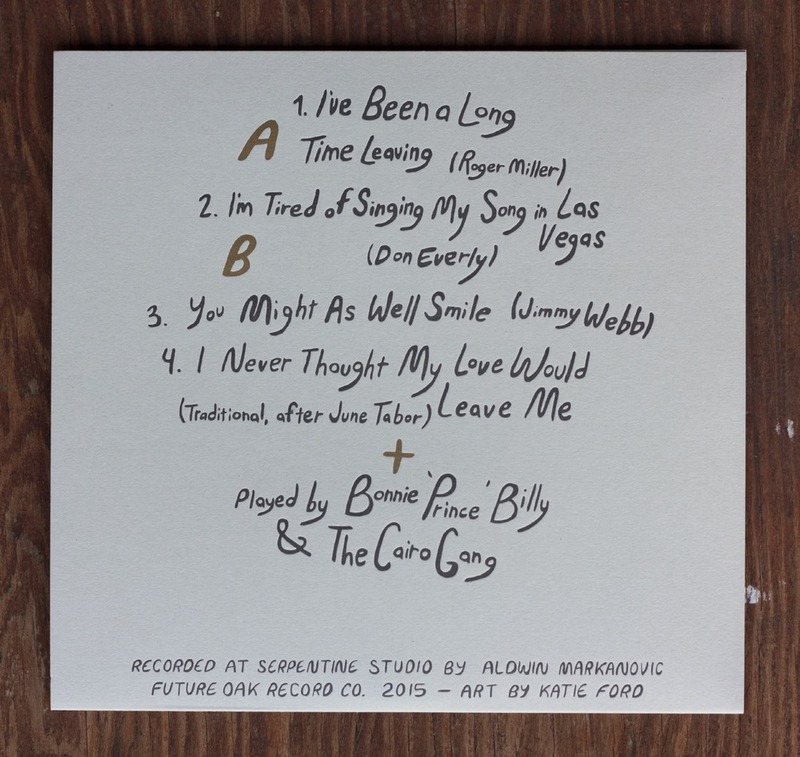 In true Bonnie 'Prince' Billy fashion, this release is limited to just 300 copies. "Musical recordings exist now in such a way that there is not really such thing as a recording that 'only a few will get to experience'", explains Oldham. "The joy of small run pressings means that we can have a relationship to the audience that is quantifiable." Each record has been lovingly hand letterpressed and assembled by the crew of Future Oak Record Co. Illustrations and art are courtesy of the Pittsburgh-based artist Katie Ford.